Apple has announced that their new super-slim 2012 iMacs will be available to purchase this Friday, 30th of November. Initially only the 21.5-inch model will be available to purchase on that date from online and retail stores, the 27-inch edition can only be pre-ordered until sometime in December. Previously, reports suggested that Apple were experiencing considerable difficulties with the manufacturing of the 2012 iMac’s new aluminium and glass chassis, which achieves its svelte form factor not only because it is sans an optical drive, but also thanks to a new machine engineering process called friction steer welding. This technique merges two aluminium surfaces together via heat and pressure, this helps to achieve a 5mm edge design. Bogus rumours had suggested that these new all-in-ones would be delayed until early 2013, but now these reports have thankfully been debunked. 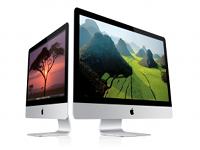 The 21.5-inch iMac includes a 2.7Ghz Quad-core Intel core i5 CPU, Nvidia GeForce G6 640M GPU for $1,299. This machine also offers 2.9GHz processor for an extra $200. The 27-inch edition provides ample horsepower with a 2.9GHz quad-core Core i5 CPU and Nvidia GeForce GTX 660M for $1,799. The most powerful configuration offers a 3.2GHz chip along with a GTX 675MX graphics processor from Nvidia for $1,999. All models start with 8GB of RAM upgradable to a maximum of 16GB. Like the latest generation Mac Minis, these new iMacs also boast Apple’s new Fusion Drive storage system, which combines a flash drive with a mechanical hard drive into one single volume. This allows users to take advantage of the higher read / write speeds of flash-based storage media while also enjoying the larger capacity of a regular hard disk. Fusion Drive provides intelligent file management and optimisation, which ensures faster overall system performance and quicker boot-up and shutdown times. 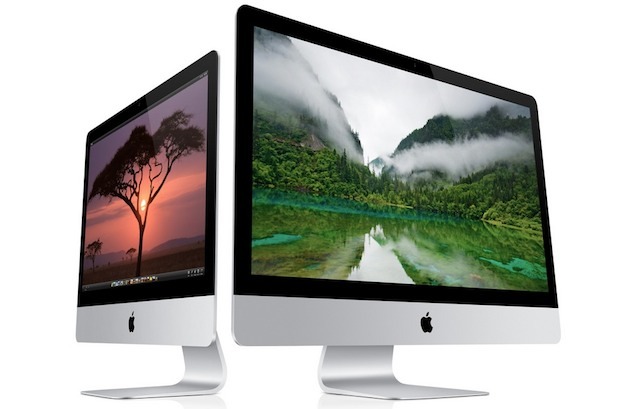 Rumor: New 2012 iMacs delayed until 2013? Tech Poll: What Version of Windows are you running?